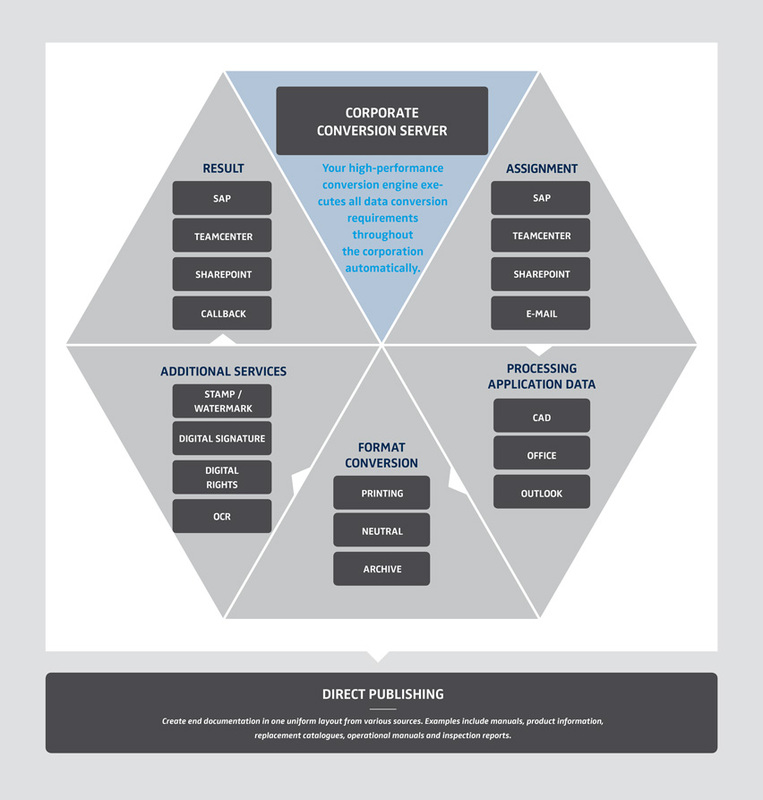 The Corporate Conversion Server (CCS) – What is it? In many companies, business processes arise for which a file conversion is either necessary or expedient. Every day, thousands of file conversions can arise that have different requirements from different process contexts. A uniform infrastructure creates significant cost advantages. 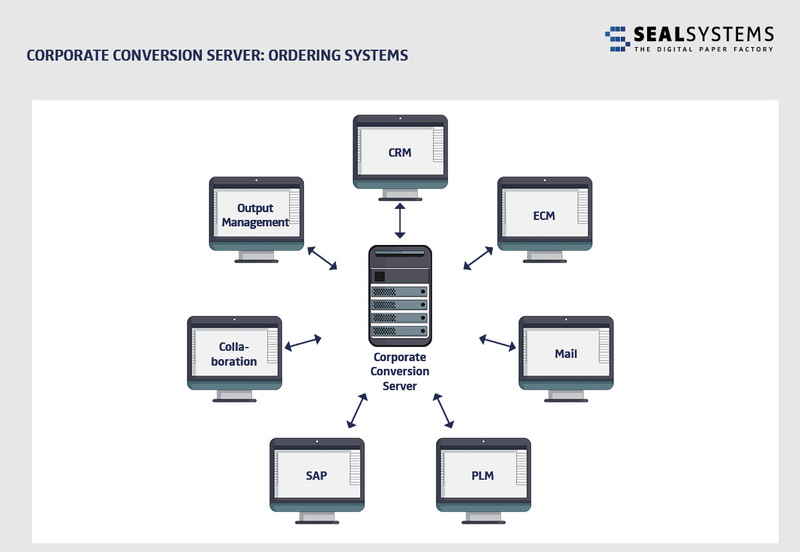 Conversion servers from SEAL Systems aim to realize optimization potentials in the daily operations of large and medium-sized companies. They also offer new possibilities for the straightforward configuring, and management of processes and structures. In short, SEAL Systems’ CCS helps carry out transactions at a high level of process complexity and efficiency. 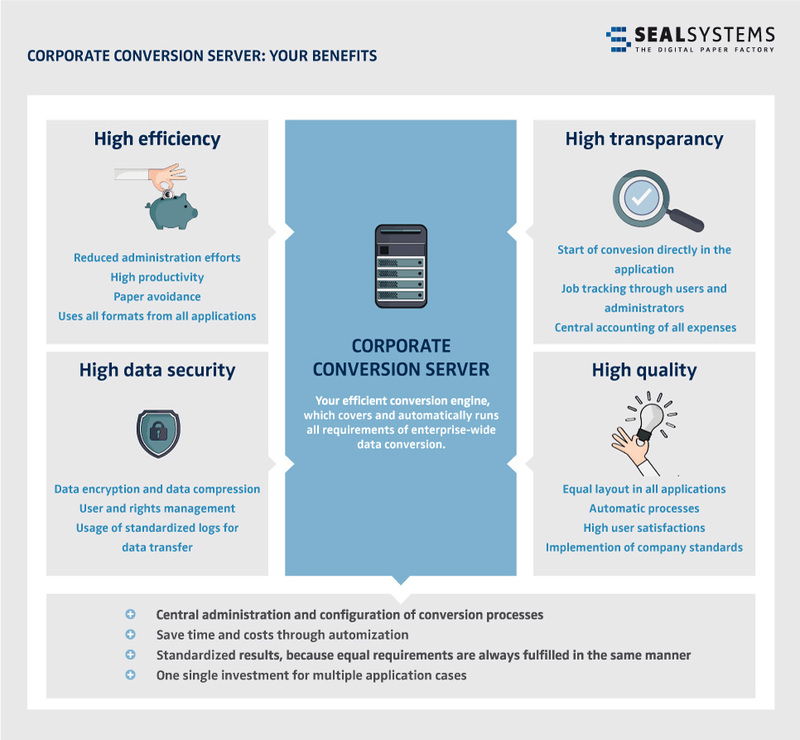 SEAL Systems’ corporate conversion server is an efficient conversion engine which automatically completes all of the requirements of the file conversion on a company-wide basis. It can be integrated into the current IT landscapes using flexible interfaces. The scope of its performance is rounded off with several additional functions. Who needs a Corporate Conversion Server? All companies and organizations that have file conversion as a required process benefit from the corporate conversion server. Our conversion server also has considerable benefits for all CIOs who want to increase the efficiency and security of their conversion infrastructure – and reduce its costs. CCS also brings additional benefits for those responsible for IT infrastructures, system administrators and help desk staff because reduces the time spent troubleshooting and rectifying errors in the conversion process. Additionally, the CCS also benefits all users because the required conversion is always easily available – and (most importantly) works! 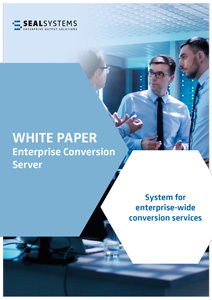 What can the Corporate Conversion Server do? Our corporate conversion server creates all of the relevant file formats for the purposes of exchange, storage / archiving and printing / reproduction. Whether it is file formats from Office, Scan, CAD, Archive, ECM or Publishing – nothing is left to be desired during the precise processing. However, the file conversion does not have to be a straightforward operation. SEAL Systems can also automate sophisticated documentation-based business processes for you. By automating this process, the acquisition of the documents is completed directly in the ECM system as well as the distribution to the appropriate subsequent processes by the CCS. Simultaneous to the conversion, an enrichment with additional metadata, the information retrieval using OCR, the structuring of the files in a complete PDF, the digital signature and the document protection also take place – according to your exact requirements. 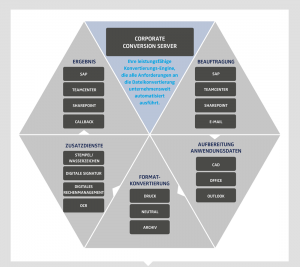 We already support a variety of systems with customized integrations, such as SAP, TeamCenter and SharePoint. Other systems can be connected via watch folders, hardware-dependent clients and Java clients or web services. Our web services enable synchronous and asynchronous processing. 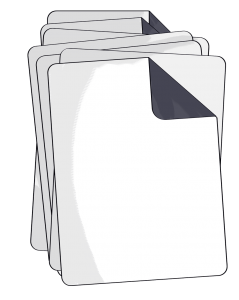 The file transfer can occur via attachment to the web service or via a file link. The more document-based processes you automate via CCS, the greater your benefit!